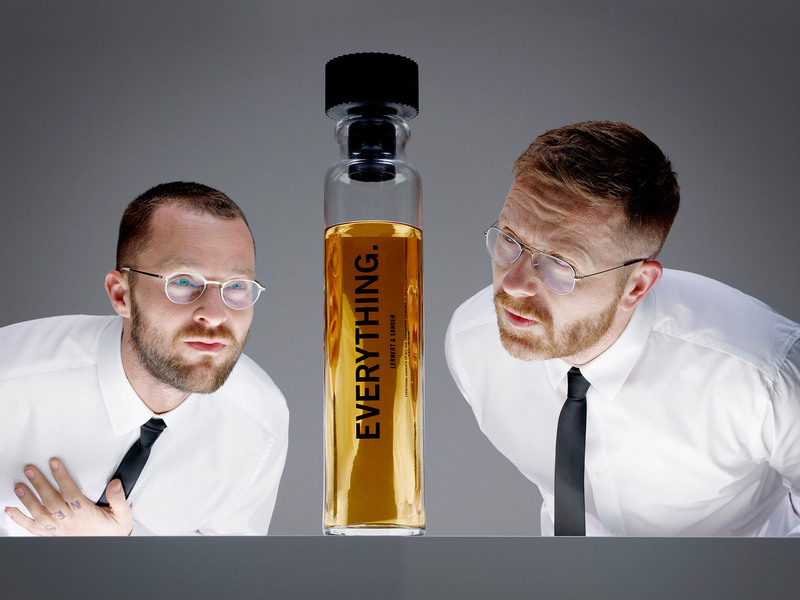 Studio Lernert & Sander — Everything. 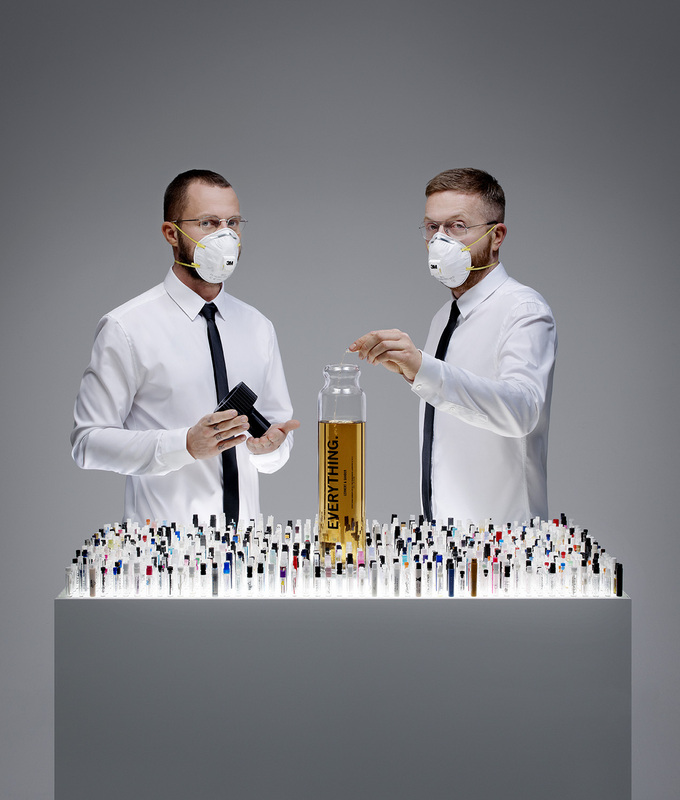 Lernert & Sander collected almost 1400 samples of newly launched fragrances. 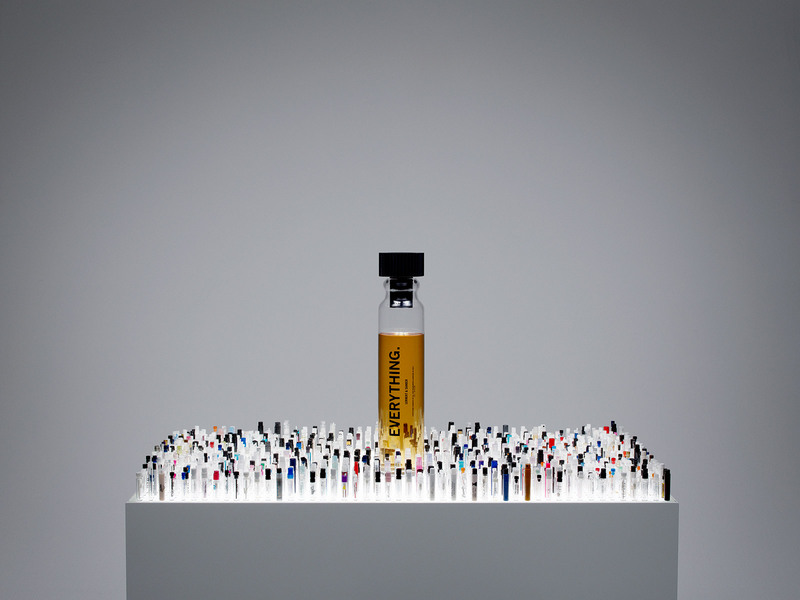 By mixing the content of all of these bottles, they created 1.5 liter of Everything. This unique perfume comes in a specially designed and hand blown bottle, an enlargement of a classic sample bottle.